Showing recent results 2761 - 2775 of 4500 products found. 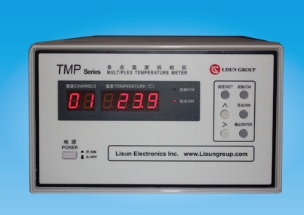 TMP-8/TMP-16 - Lisun Electronics Inc.
• 8 channels temperature signal (TMP-8) or 16 channels temperature signal (TMP-16) • T type or K type thermocouple • Temperature range: -40 ~ 300°C. 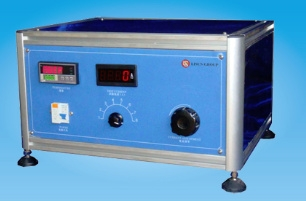 Testing accuracy: 0.5% • Channel sequence is displayed by 2 LED and temperature is displayed by 4 LED • Freely set up the software with PC and record the change of temperature and select the channel. 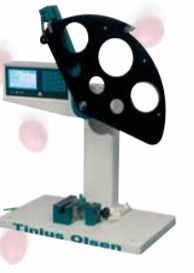 WT2000-HID - Lisun Electronics Inc.
All testing hardware is fully complemented by Tinius Olsen developed software that turns your hardware into a sophisticated quality analysis system. Be sure to examine the software products to determine which package is right for your application. IK07-10 - Lisun Electronics Inc.
WDT-1 - Lisun Electronics Inc. This equipment is designed and manufactured according to corresponding regulation in standard IEC884-1, GB299.1-96, GB16915.1-97 and other electronic accessories relevant standard. 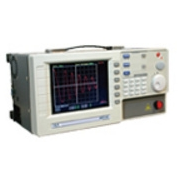 Mainly used to test damage degree of fixed connection components lead wire of with thread clamping type and no screw terminals, so as to inspect whether it can withstand mechanical stress during normal use.Specification: • Power supply: AC220V 50Hz • Test rate: 10±2r/min (GB16915.1-97: 12 ±1r/min) • Rotating radius: 100mm • Test distance: 250~500mm adjustable • Test numbers (Number of rotating): 0~999999 any set • Mass: 0.3KG, 0.4KG, 0.7KG, 0.9KG, 1.4KG, and 2.0KG (GB16915.1-97: 30N, 40N, 50N, 60N each of 2 pcs) • Stations: 2 • Dimension: 1200×1400×400 (mm) • Remarks: The mass and rotating radius can be optional as per customer requirements. WS-1 - Lisun Electronics Inc. 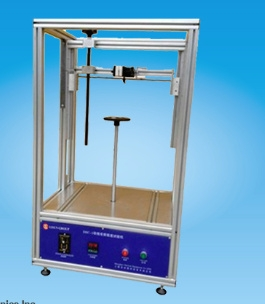 Applied to test electrical accessories heating conditions when connected to load current, whether the temperature rise of electrode is compliance with standard requirement or not. And it can effectively detect whether the plug bush is slants thin and whether plug and socket cooperated with all right. It is designed and manufactured according to IEC884－1, GB2099.1-2008 and other relevant standard of electrical accessories. ◆Automatic operationPerforms automatic destructive evaluation of Lazer-power after zap.After the measurement, the destruction judgment condition can be changed, and it judge again for the acquired data.◆Optical characteristic measurementThe output level of the laser diode (power) is measured by the Photodiode.After zap, it display Optical data displayed(IL), Performs the process of destruction.Settings: slope efficiency, differentiation resistance, and threshold current, etc◆Two kind LDAutomatic settings of two kinds wavelength.◆For variegated deviceThe socket (Jig) is separates. Perform to any device.The P.D. can be changed.Its height can be changed. The Alpha MUTT® takes IPA's industry leading Super MUTT® platform, and adds the ability to instantly save, store, and share inspection reports. It gives customers peace of mind with complete accountability through detailed reports and gives technicians a better, faster way to enter and track report results. The mobile, durable Alpha MUTT® tests trailer lights, air brakes, and ABS systems via a Bluetooth-connected tablet with IPA's custom diagnostic software suite. 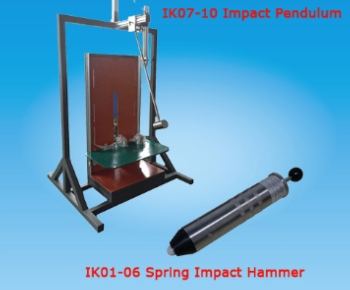 The product is designed to carry out Arc Ignition Test as per IS/IEC 60947-1 Clause 8.2.1.1.2 (material used for electrical products). The adjustable current source is 230V AC @ 33A. The load is adjusted to get 32.5A at 0.5 power factor. 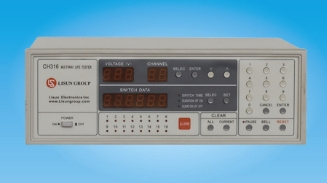 Included on control unit are Digital Voltmeter, Digital Ammeter, Digital Power Factor Meter and Micro Controller based programmable Sequence Timer with LCD display for display & setting. The arrangement is made to mount the test piece with electrodes as per the specification given in the standard. MEA MSU100 - M.E.A. 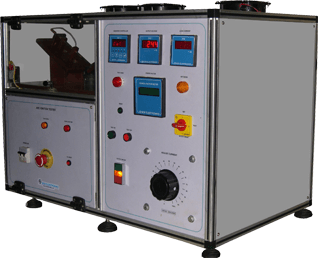 Testing Systems Ltd.
*MEA MSU100 Series – Fully automatic SURGE testing of 3 phase and single phase stators, armatures, transformers, and motors, ranging from 10 W to 500 kW, and patented Stator/Rotor performance testing. *MEA MSU101 Series – Customized, fully automatic production line testing system with SURGE testing of 3 phase or single phase stators, armatures, transformers, and motors, ranging from 10 W to 500 kW. The system can be also equipped with automatic testing of H.V. and 4-wire resistance, temperature, and patented Stator/Rotor performance testing. *PERFORMANCE TESTING – MEA patented tests – MEA patented performance testing provides fully automatic Stator/Rotor performance tests, showing the UUT performance as it will be after assembled as motor. *Integrated database. *200 V up to 5 kV programmable impulse. *Option for Partial/Low-Energy Discharge. *Go/No Go tests with comparison detection of: Area Size, Diff Zone, Corona Amount, and Corona Number. *Performances tests comparison at cold and hot state (temperature tests via up to 8 thermocouples). *Interfaces: RS-232, USB, Ethernet (for remote control). 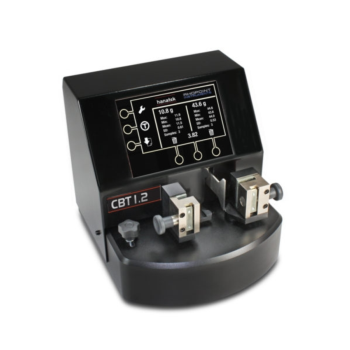 *Can be controlled via I/O for OEM applications and easy integration for automatic lines. *Special self-calibration function. 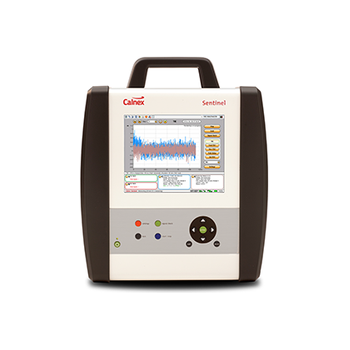 No need to send back for the vendor's calibration, saving time and costs. *MSU101 integrated and operated with PC having user-friendly Windows 7 interface, with large database for storing test programs and test results. *Barcode reader, individual print-out of test protocols and labels, of H.V. and 4-wire resistance, and temperature measurement can be integrated into the system. *Measures time-load-distance with high-accuracy. *Measures speed characteristics in the work piece loaded. *Measures propulsive characteristics in the work piece in its excited state. *Measures cogging torque characteristics in the work piece not in its non-excited state. 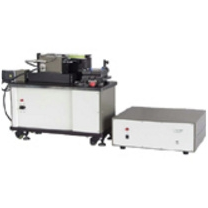 *Adopting in-house load cell and a linear scale of 1-micrometer resolution, the system enables high-accuracy testing of load vs. distance of linear movement. *It performs load control and force detection in both forward and backward directions.